Join AIA NJ APAC for a great day of golf at great golf course is the opportunity to play golf with a state government official. 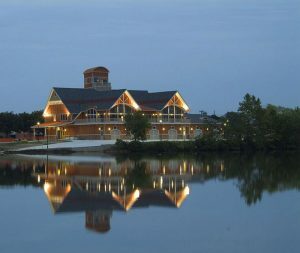 Come out for a unique event on Saturday 4/27: a building and grounds tour of the Red Dragon Canoe Club where Mary Todd Lincoln stayed immediately after her husband, President Abraham Lincoln, was assassinated. The Red Dragon Canoe Club, located at the historic Shipman Mansion, privy restoration received one of the largest allocations of Historic Preservation funds from the state of New Jersey. This building and grounds restoration effort included the slate roof, plaster and restoration of the privy (outhouse). The 1-hour tour of the historic club will be followed by a CEU Brunch and Learn Presentation. Event Attendees will receive 3 AIA CEU’s. Historic Slate Roof Repairs and Interior Restoration designed by Phillip E. Scott, RA. with the design architect who will speak about the client relationship, the triage, how the work was phased as well as the technical details of the historic slate roof. KSK Architects Planners and Historians in Philadelphia, PA provides services in architecture, urban design, planning, and historic preservation. A focus of the practice is urban area revitalization and redevelopment. Lee Cousins and Carl Blaetz who renovated the privy will also join us. Carl Blaetz of Long Neck Partners went through the rubble and recreated the privy based on their findings. The privy, or outhouse, if one of the last remaining of its kind in New Jersey. The interesting part of the privy restoration is how many original pieces they found and how they created new pieces using old findings. John Ahern of Ahern Painting will also join us to talk about the restoration of the architectural details such as using Styrofoam as a base to reconstruct the plaster ceiling molding. The session will wrap up with a question and answer session with additional walking tour options. We look forward to seeing you then! RSVP to Jessica O’Donnell, AIA at westjerseyaia@gmail.com or register online. It’s the architecture & design event of the year! There’s no better place to learn, experience, enjoy, and connect with the architecture and design industry than A’19. Join us for three immersive days of what’s new and now in architecture and design, plus a lineup you won’t find anywhere else. Our theme is Blueprint for a Better Future. Explore how design can take on some of the critical challenges facing cities—and our world—today with some of the biggest names in our industry and beyond. We’ll see you there! Register here. DESCRIPTION: Join us for an evening of networking bingo with our allied members followed by a CEU presentation! Do you have questions about the New Jersey digital seal requirements? Did you know that New Jersey DCA recently went live with the 2018 I-Code (with NEC/2017 and NSPC/2018) proposal and is officially in the 60-day comment period? Join us on March 21 when we will be joined by New Jersey Department of Consumer Affairs Code Specialist Robert S. Austin who will give an overview of the items mentioned above. COST: Associate AIA: $20.00; AIA or Emeritus or Allied Member $35.00; Guest $45.00 (Cash, Checks and Major Credit Cards accepted at the door). 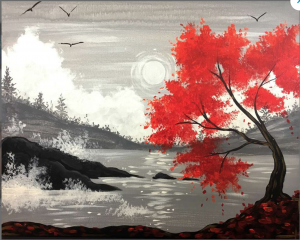 Join us for an evening of painting fun – we will bring snacks, you bring your beverage of choice and a friend or significant other! Doors open at 7:00pm for half an hour of networking. Painting begins promptly at 7:30pm. Seating is limited so please RSVP early. Thank you to our event sponsor Sherwin-Williams! Have you ever had a burning question for a Contractor, but the time was not right? Here is your chance to ask! The goal for this series is to stimulate an engaging discussion with attendees in an honest and friendly environment. A moderator will facilitate each forum to maintain a cordial environment and assure questions stay on task. COME PREPARED with questions! Attendees will be relied upon for meeting material. Visit the CSI Philadelphia website for more information and for RSVP details. AIA West Jersey members in attendance will receive their 2019 Photography Competition Calendar. All attendees will earn 3 AIA HSW CEUs and be entered to win a door prize! (GBCI credits can be self-reported as a non-LEED specific presentation). 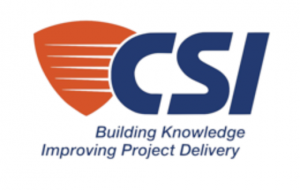 DESCRIPTION: Join us for our 2019 officer installation and a CEU dinner presentation by Passive House New Jersey! ‘Passive House’ is a building efficiency movement aimed at improving the health and welfare of the building occupant and it is taking hold in the United States. What if there was a way to retrofit an existing building to meet these strict energy efficiency standard principles and have those energy savings pay for the retrofit? Holland has been able to achieve this type of performance and proforma in their ‘Energiesprong’ program and the presenters from New Jersey Passive House will tell you how they were able to accomplish this. The presentation will focus on several case studies and lesson learned from the architects, engineers, builders, and building owners. The presenters will highlight solutions and challenges to retrofitting a building to ‘zero on the meter’ with factory fabricated wall panels while the building remain occupied. They will discuss the financial model from Holland and how can we build a marketplace to replicate this North America. COST: Associate AIA: $20.00; AIA or Emeritus or Allied Member $35.00; Guest $45.00. AIA West Jersey members will receive their 2019 photography contest calendars and there will be door prizes! ATTENDANCE RSVP: by Monday, January 20 to Jessica O’Donnell, AIA at westjerseyaia@gmail.com or register and pay online. AIA Career Center – You’re hired and more! AIA Career Center offers information for all members regardless of experience. Search open jobs. Post your resume. Set up job alerts. Connect, discuss and share your knowledge in 20+ interest areas. We’re the authoritative voice and resource for architecture students, recent graduates and newly licensed architects. From college scholarships to financial support for the Architect Registration Exam, we offer several programs that help support students and aspiring architects. Research improves practice, and funding makes it possible. We’re proud to support it with these grants and fellowships. Join AIA West Jersey for 2019 as we offer unique networking opportunity for businesses to promote products and services directly to the local design community. Through an annual sponsorship you can join the Allied Membership in our section, as well as maximize exposure for your product or service at every event held by our section throughout the year. We’ve created numerous sponsorship packages to meet your budget and marketing goals. We are excited for our 2019 events and have made several enhancements to our application process including an online form and online payment option for your convenience. Please note that applications and renewals received by November 26th will be included in our 2019 AIA West Jersey Calendar, which is available as a member benefit and for others to purchase as stocking stuffers!